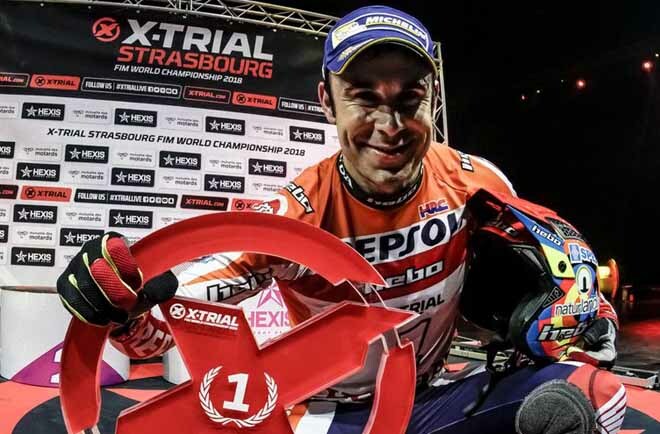 Reigning Word Champion Toni Bou took yet another X-trial victory, this time in front of 4,800 spectators as the series reached its half-way mark in Strasbourg. 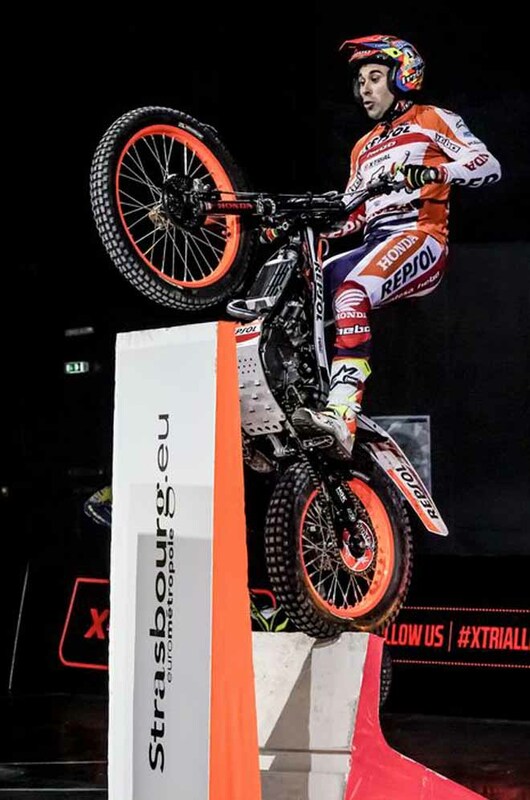 The Repsol Montesa Honda rider, who finished top in each of the three stages of competition, faced a new rival in the final with Sherco youngster Miquel Gelabert progressing and as such also securing his first trip to the X-Trial World Championship podium. 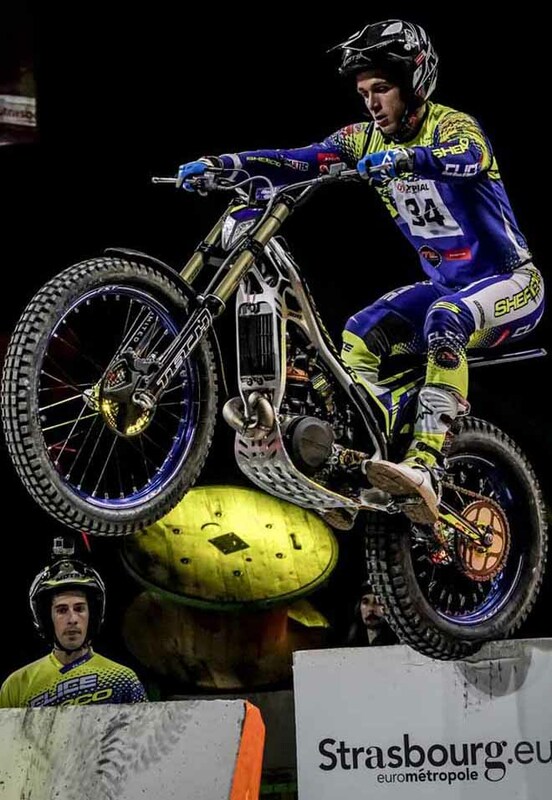 Bou was forced to work harder than he has become accustomed to in the second round of heats, meeting Adam Raga after the TRS rider qualified just fourth in the first round. 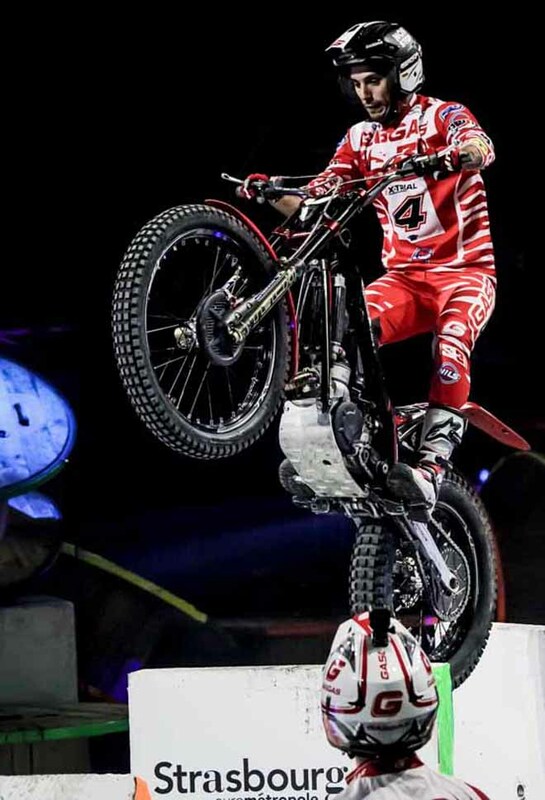 With only the top performer from each heat progressing, 11-times World Champion Bou eliminated Raga by just a single-mark margin and passed to the head-to-head Final. 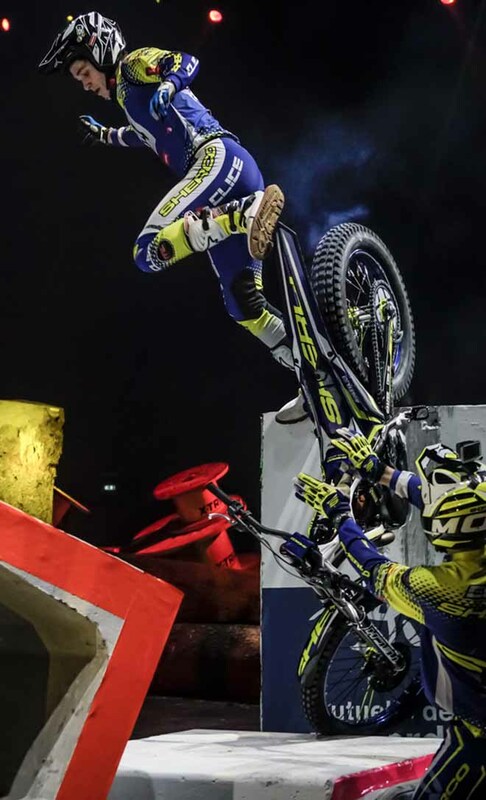 From there, Bou was the dominant force, taking an advantage right from the opening section. 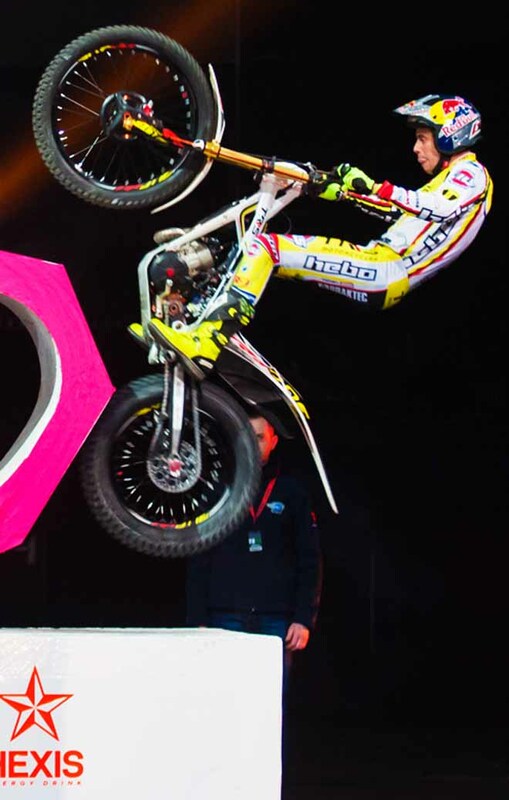 But despite defeat, Gelabert became the sixth different rider onto the podium, in a season that has provided plenty of excitement involving new and less experienced riders. The young Spaniard did well to qualify from the first heat of the second round, where the three contenders were separated by just a single mark. 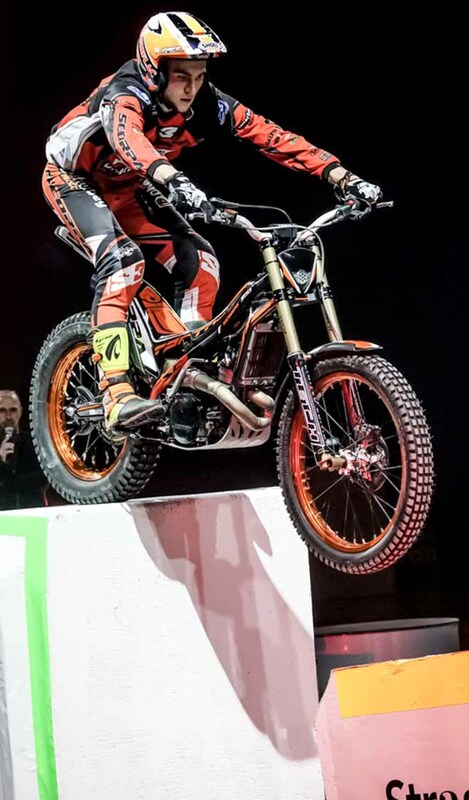 Meanwhile in Heat Two, Benoit Bincaz (Scorpa) out-performed Jeroni Fajardo (Gas Gas) and Miquel Gelabert from Heat One and took fourth position. 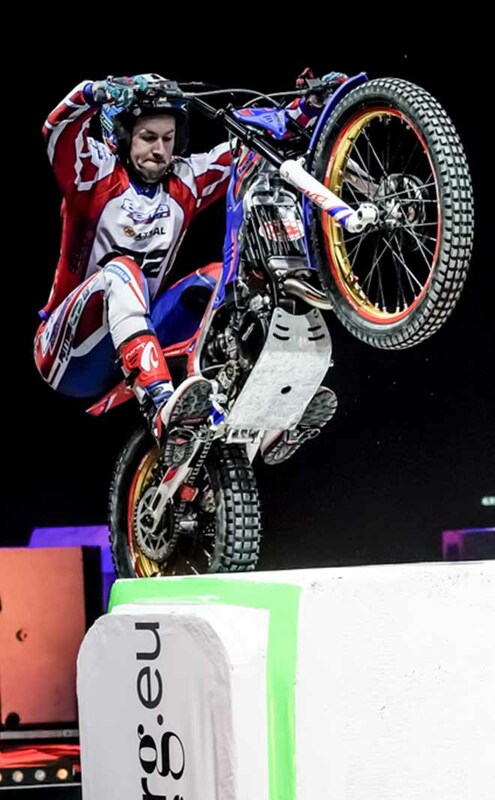 Great Britain´s Jack Price (Gas Gas) and James Dabill (Beta) were both eliminated in the opening round for the second successive event, while Franz Kadlec also failed to progress in his first X-Trial appearance in this new era. 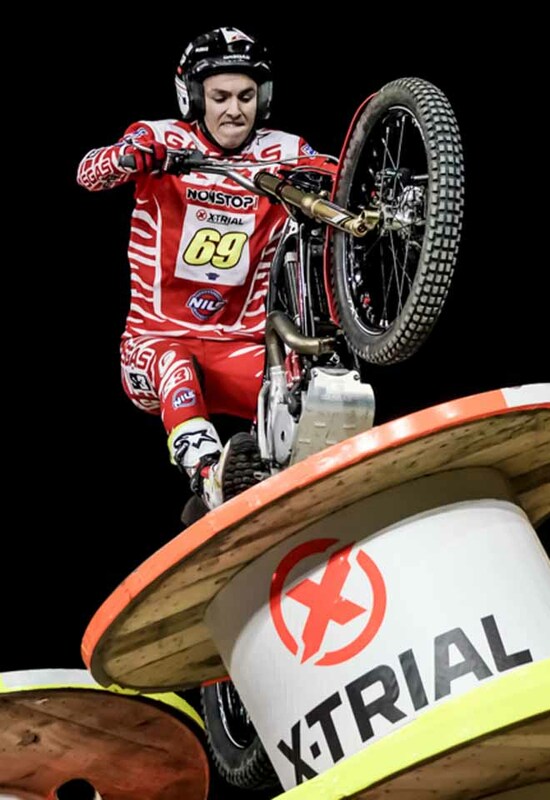 The X-Trial series now moves from France and on to Barcelona, where the best riders in the world will meet on Sunday 4th February to dispute the fifth round of the Championship. Campionato al giro di boa a Strasburgo, con ancora un palazzetto gremito ed il solito Bou che domina la scena. Gelabert raggiunge il suo primo podio ma in finale non esce da una zona. Raga non raggiunge la finale pur essendo il più vicino a Bou nella seconda fase (8 punti lui, 7 Toni) contro i 21 del terzo. Un vero peccato perchè la finale sarebbe stata più concitata ed incerta. Ma questa è la nuova formula. Ora si va a Barcellona il 4 febbraio.